Potent essential oils, which may be used in bath, laundry, and vaporizers. 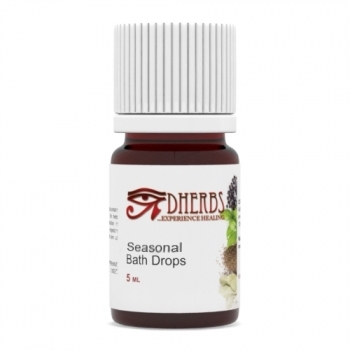 Dherbs.com Seasonal Bath Drops contain potent oils, which have a natural effect on the mind, body, and spirit. FACTS: The earliest recorded mention of the techniques and methods used to produce essential oils is believed to be that of Ibn al-Baitar (1188–1248), an Andalusian physician, pharmacist and chemist. Aromatherapy has been used since the earliest civilizations. It works via the sense of smell (olfaction) and takes approximately two seconds to give a desired effect, generally speaking. ​Essential oils are the oils derived from plants and hence are the blood of plants. These oils have a natural effect on the mind, body, and spirit. For a relaxing bath base, mix one part baking soda (Aluminum Free) and three parts sea salt. Add 5-10 drops to bath water just before entering and swirl it around. Essential oils are placed in the diffuser, often times with water and heat so that the oils evaporate (be sure to read the directions). *Note that essential oils should never be directly burned as it could burn into ashes. Place several drops of essential oil on a cotton ball and let evaporate into the air. Place it somewhere near you and breathe in and out. Sniff the cotton ball for a more intense effect. Add drops of essential oil to a bowl of steaming water to allow the oil to vaporize. Place a towel over your head and over the bowl. Keep your eyes closed. This is a very direct method. Note: Not recommend for children under the age of 7 years old. For children over 7, use swimming goggles to protect their eyes. Drops of essential oils are placed in a bottle of water, shaken, and sprayed into the air. This will deodorize the room and or set the mood. WARNING: Do not take or consume internally! Do Not Eat! For external use only! Discontinue use if irritation to skin occurs.